Thanks to all your sponsorship we raised �1,400 for Mercy Corps on the Moroccan Rally 2012. You can see our donations on our JustGiving website at: http://www.justgiving.com/morccanrally. The Mercy Corps continued to be our charity of choice for the Moroccan Rally 2012. There has been so much generosity from those around us and even from people we've never met before, to date, you have helped us raise over �4000 for the Mercy Corps. The Mercy Corps has so many inspiring projects around the world it really is a challenge to pick one project over another. All the money you donated went directly to the Mercy Corps for use on any of their projects around the world. 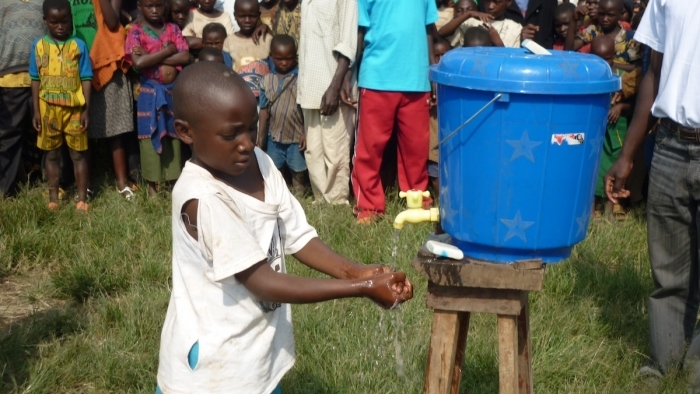 Fighting the cholera epidemic in emergency camps. Photograph by Nyarubwa Seraphin, Mercy Corps.